Click below to check out the school calendar, schedule, and any assignment due dates. We will learn Rates and Ratios, Probability, Number Systems, Expressions and Equations, and Geometry. 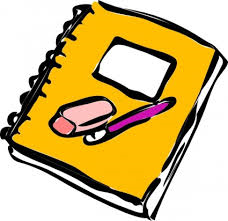 From reading to writing we will cover grammar, comprehension, vocabulary, and essay writing. I am very excited for the upcoming school year to teach Math and ELA to the sixth grade class. We are going to have a fantastic school year reading novels and building on our prior math skills. We go on many great field trips and are part of a special program with Penn Museum of Archeology this year. Mr. Young is returning as our 6th grade science teacher and has great activities and experiments planned. Ms. Flynn is also returning as our 6th grade social studies teacher and she is excited to explore the ancient civilizations with your children.